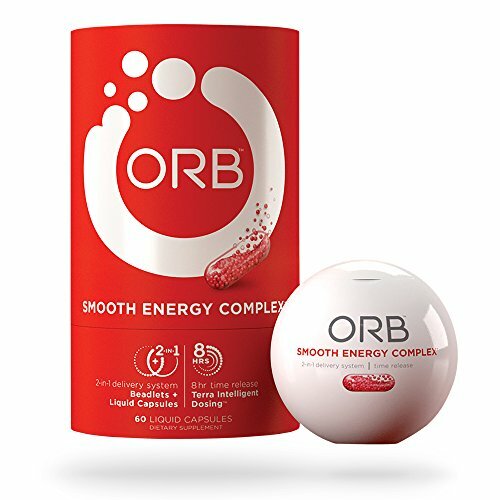 ORB Smooth Energy Complex is like the feeling after your first cup of coffee, but it’s time-released to help you stay alert. Energizing caffeine is balanced with calming L-Theanine to support a calm but alert mental state that you can actually feel, while MCT oil allows for easier absorption. At ORB, we believe that the right amount of science and simplicity can unlock a vitamin’s true potential. We combine top quality nutrients in 2-in-1 formulations and use our patented time-release technology so you know they are working throughout the day. Vitamins should be easy, effective, and enable you to live a healthier life. ORB makes your health simple.